18 PM. After 13 days of ride. After 2200 km. We finally reach our final destination. On one hand I am relived, my body couldn’t have taken more. On the other hand I would like to do it all over again. It is difficult for everyone of us to leave our vehicles, we multiply pictures like if these were the last ones on earth. It was so intense that I mismatch everything. Photos and videos will help me in building my recollection of that fabulous trip I had dreamed about for years. I leave you with this last video, a florilege of what we faced on the Indian roads ! Geniaaallllllllllll ça donne vraiment envie de refaire le rajastan !!! Merci merci merci mille fois ! Bravo pour tout ce que tu nous as dejà fait partager, tu as trouvé la clef de l’epanouissement ! Well done for all ! 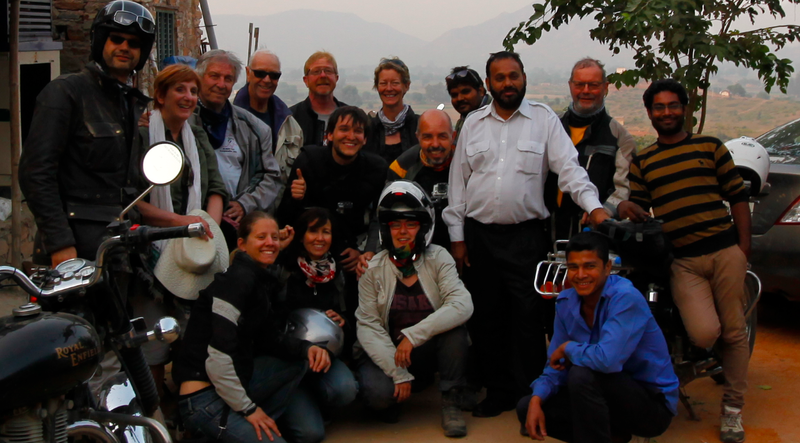 I drove in India but never ride a motorbike …. WOOOOOOOHHHH! Enjoy but stay alive. Thanks.